Inexpensive data storage boxes from Taiwan are being picked up in lieu of storage arrays from Dell, EMC, HP and NetApp by Facebook and other vast data-centre operators such as Google and Amazon. Supply chain insiders say that the juggernaut that is Facebook is about to buy bargain storage kits from original design manufacturers, or ODMs, based in Taiwan. Original design manufacturers work with customer specifications to design and produce hardware. Both Quanta Computer and Wistron will be likely bidders for Facebook's supply contracts. Facebook looks to save a small fortune by using arrays defined by its Open Compute Project standard and running its own software. It's quite possible this may not even occur, as reports from Far East supply chain sources tend to be a little questionable, but the information is interesting nonetheless. Using ODMs for storage gear doesn't come as a big surprise; Facebook is merely following a trend. According to Digitimes, Google buys all its servers from ODMs and Amazon follows suit about 30 per cent of the time. Sales of standardised hardware via distribution channel partners to the West and beyond could start happening anytime. Amazon, Baidu and other cloud giants are likely to expand their services into the cloud; businesses are purchasing fewer storage arrays because of the cloud, so it's no surprise that Amazon, Baidu and others are making forays into this area. DEY Storage, a startup company, claims it can follow the trend started by Amazon, Facebook and Google. The company claims they can unbundle "storage management from the physical layer to provide customers with a storage system which is massively scalable and designed to align and integrate with their services-based infrastructures". 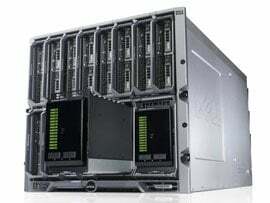 The current crop of servers, storage and network switch vendors may have to look to Taiwan for a new model if they want to continue to be successful.